I posted about this skirt before, but this morning I took the opportunity to snap some more pics of the Peggy Skirt, Bluegingerdoll's latest pattern release! 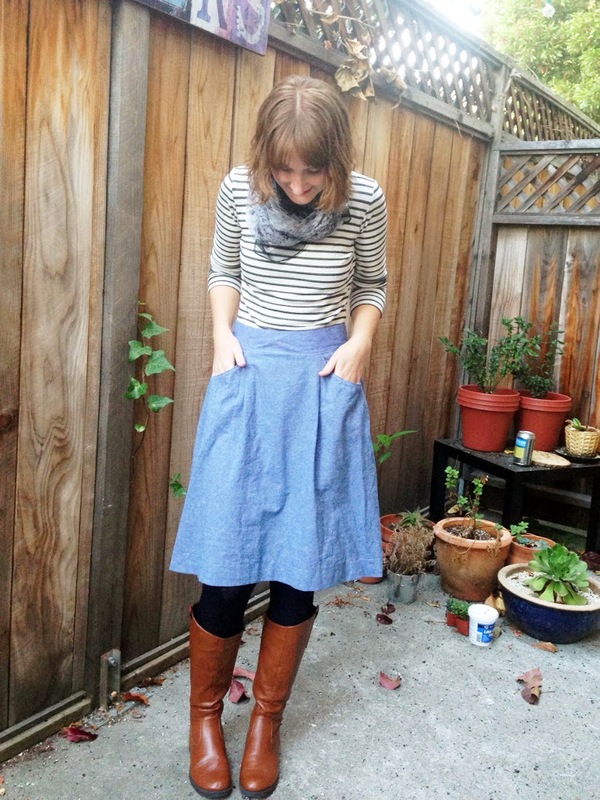 I just love how easy this skirt is to wear, and how it has already become a wardrobe staple. Chambray is the perfect wear-it-with-anything fabric, and classic lines of the skirt make it my go-to for those days that I don't quite feel like wearing pants. The drape and shape also make it perfect for riding my bike to work! 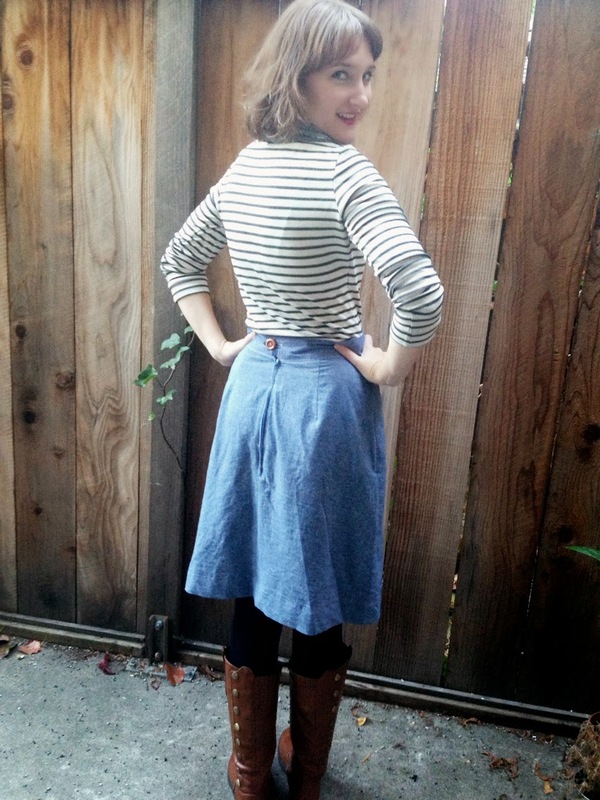 Many of the Peggy Skirts on Abby's blog look totally cute for spring, but I hope I am showing off how well it works for winter, too! And, of course, here are a few detail shots. There's something about the Bluegingerdoll patterns that always make me want to play with fun linings and details, and this pattern was not exception. 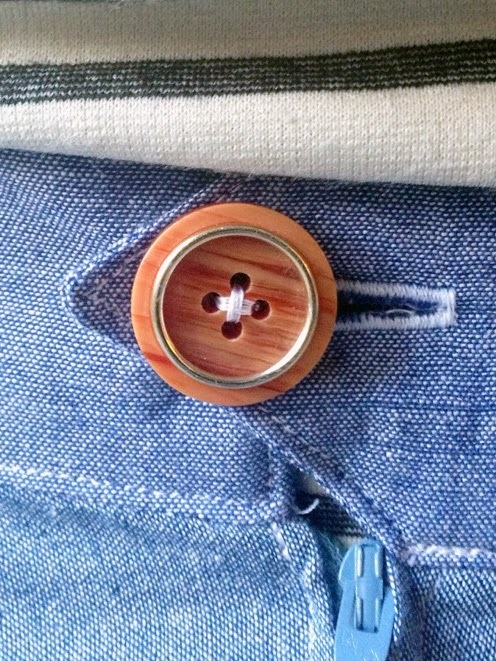 The pockets are lined with railroad stripped flannel. Your styling is perfect for fall and winter. I just finished my first Peggy. 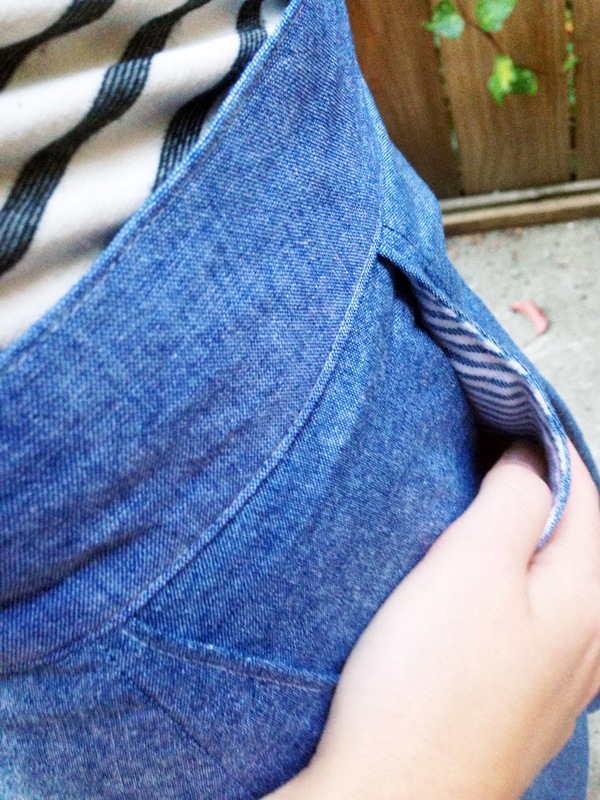 I really want to make a chambray like yours next. Very cute! 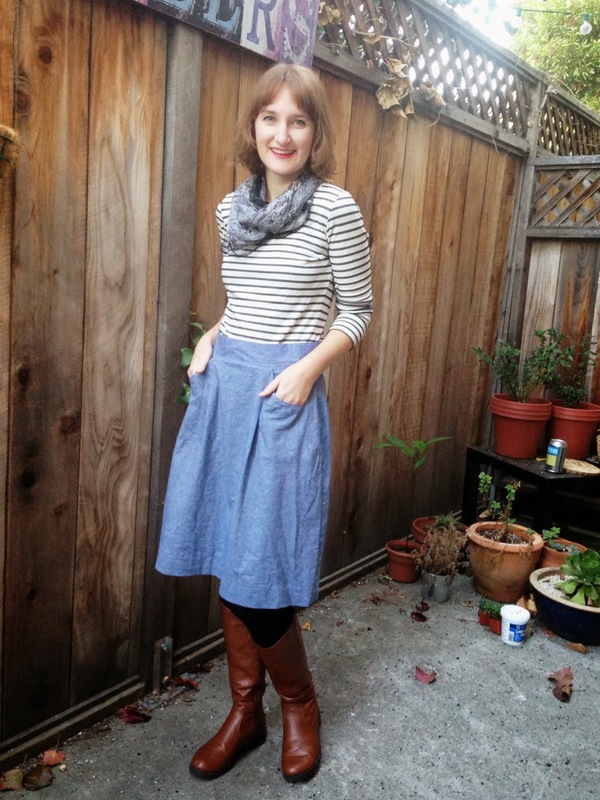 It's a great style for chambray, and looks very comfy and versatile. Basic skirts are so versatile. 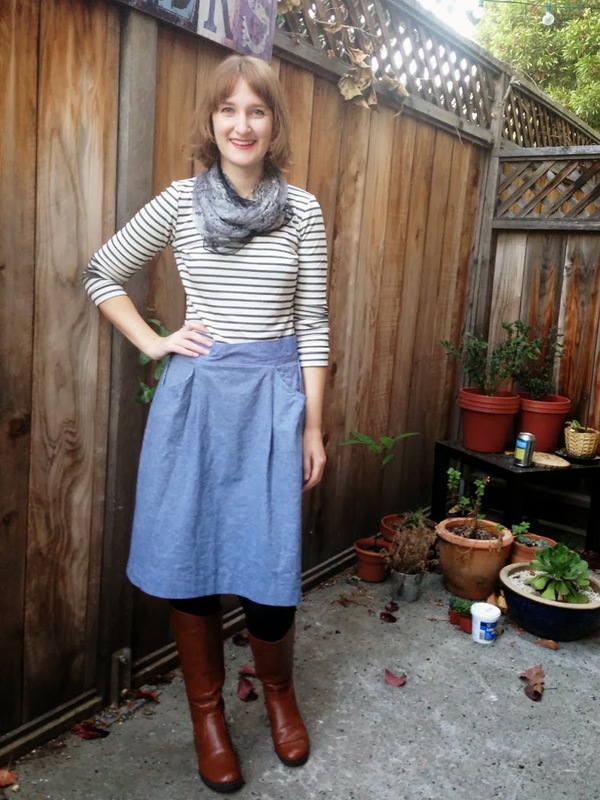 And I love your styling with the chambray - you look very Parisian!